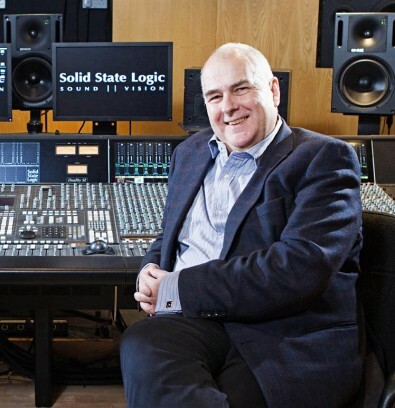 Antony David, managing director of Solid State Logic, discusses the disparate ideas of what Audio over IP (AoIP) might mean for broadcasters, why Dante deserves its success, and why it’s the network that is key to unlocking the true potential of IP-based audio transport. The rapid rise of IP-based solutions for media production and distribution has seen high levels of technological innovation in our industry, and in some areas a corresponding rise in the levels of confusion around those technologies. Sometimes the commercial imperative has led manufacturers to create uncertainty when widely adopted, workable solutions don't fit their current product development roadmap, and there have also been a few instances of misunderstanding in the technical press. A frequent misconception, for example, is that audio and video-over-IP are somehow direct replacements for MADI, AES and SDI, all of which are point-to-point connections. IP-based interfaces to conventional crosspoint routers may be stopgaps that preserve the usefulness of these expensive pieces of hardware but they cannot leverage the benefits that true networks offer - all things everywhere, without expensive routers imposing limits. A frequent misconception, for example, is that audio and video-over-IP are somehow direct replacements for MADI, AES and SDI. AoIP, already in use for many years in both radio and live sound installations, is a more mature environment than Video-over-IP, and Audinate's Dante protocol has already established its pre-eminence in that field: there are more than 800 Dante products from around 350 different manufacturers currently available. For manufacturers and their customers, the advantages are easy to understand. Dante systems use off-the-shelf IT industry hardware that is widely available and cost-effective. Manufacturers can utilise the Dante components, saving both time and valuable R&D cycles, to bring products to market quickly with the confidence that they will be entirely interoperable with those from other manufacturers. This interoperability is a central issue and one that is least well understood. AES67, for example, is an interoperability standard - an IP-based transport that facilitates connections between different AoIP technologies. It does not replace them or compete with them. AES67 does not incorporate the higher layers that enable devices to identify themselves and maintain a sophisticated distributed routing system. That discoverability capability, which is integral to the Dante protocol, is key for the establishment and management of a professional AoIP infrastructure, and this is why Dante has been so widely adopted. "The days of expensive crosspoint routers are over," believes Antony David, SSL. The incorporation of AES67 into Dante does however ensure a Dante network is always truly inclusive. For example, IBC was rife with discussion about industry alliances in the Video-over-IP arena. Both the AIMS and ASPEN roadmaps to the future SMPTE 2110 standard include AES67. Also, the Media Networking Alliance booth showed a huge range of products from many different manufacturers, all sharing audio over AES67. Some have objected that Dante is not a fully 'open' standard, but our industry has been built on the adoption of stuff that works: TOSLINK, ADAT LightPipe, MADI, AC3, Dolby E, and so on. Often standardisation follows adoption. One significant advantage is that adoption of well-designed technology is uniform; open standards can sometimes result in chaos - think MXF for example. It should also be noted that in the same way the technology of an audio router can be based on an audio standard such as MADI, why should a audio networking technology based on IEEE and IETF standards be an issue? When SSL set out on the path to develop IP-based infrastructures for audio production in TV broadcast we investigated a range of alternatives. It became clear that only Dante could deliver the functionality, reliability, and confidence in long term investment that broadcasters demand. It was already well developed and working well for a large number of companies, mainly in the live installation business. We focused on what needed to be done to deliver broadcast-standard solutions and found a willing partner in Audinate. SSL's System T consoles and network infrastructure started shipping in April this year and are now delivering on the promises that Dante-based networks make. Several broadcasters are already relying on System T and Dante networking for on-air TV audio production in studio, truck, and gallery. At the recent IBC 2016 show we found broadcaster after broadcaster hungry to learn about what System T and true AoIP networking has to offer. Obviously we have made our choice with Dante and have a commercial interest in seeing the technology adopted as widely in broadcast as it has been elsewhere. We are very confident that our decision was the right one and would encourage even more manufacturers, integrators, and broadcasters to join this proven networked future. The days of expensive crosspoint routers are over.